Organiser: The contest is hosted by NIT Agartala. 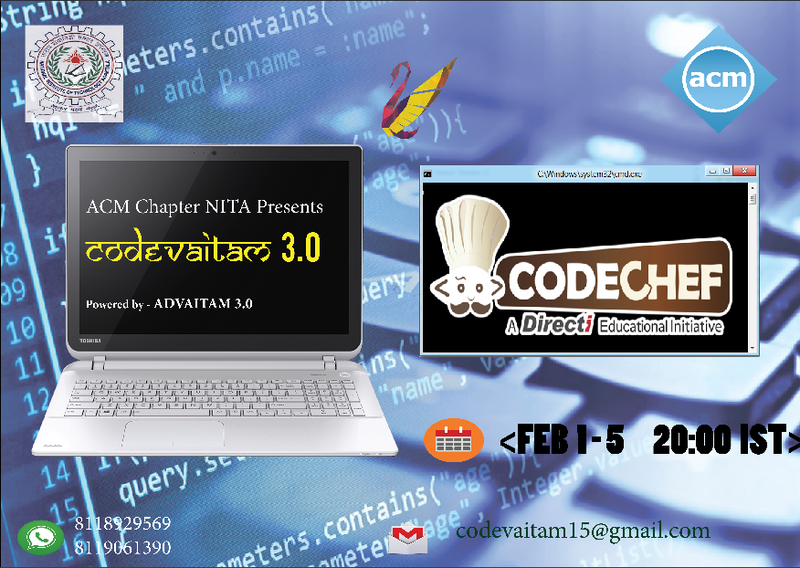 Prizes: Top 3 Indian programmers will be eligible for cash prizes and goodies. Top performer from NIT Agartala will also get cash prize and goodies. Please contact shivam.nita14@gmail.com for any queries during the contest. We will be running a plagiarism test once the contest is completed. All the Indian, and NIT Agartala winners will be declared after that.